I’ve been visiting the Algarve since I was a toddler and what once felt like a second home is now my first home, which has allowed me plenty of time to explore both the hidden gems of the Algarve and discover some of its more unusual accommodation along the way. While some of these more unique accommodation options in the Algarve have proven perfect staycations for me, others are those I recommend when people reach out asking where to stay to make their trip to this sun-kissed, beach spoilt, southern stretch of Portugal that bit more special. I’m sure I’ll be adding to this list as I discover more unique accommodation in the Algarve, but for now, here are ten suggestions from luxury villas packed with facilities to remote glamping and under the stars ocean sleeping. The Ria Formosa is one of the best Natural Parks in the Algarve and indeed Portugal. A collection of barrier islands that beautifully blend stretches of sands with the ever-changing azure shades of our oceans. It’s a paradise for water sport and nature lovers, and if you have ever flown into Faro airport before you’ll have seen the impressive view of the Ria Formosa from your window seat. Passeios Ria Formosa offers boat tours and activities throughout the National Park, but one of their most special offerings is the houseboats which allow you to call the Ria Formosa your ‘hotel’ for the night. While this isn’t the ideal base for your whole trip, it’s a great unique accommodation option in the Algarve for a night or two. The boats are small in size, and the lower cabins might not offer the best nights sleep thanks to the lapping waves. That said, for me, I love falling asleep to the sounds of nature, wave lapping included. 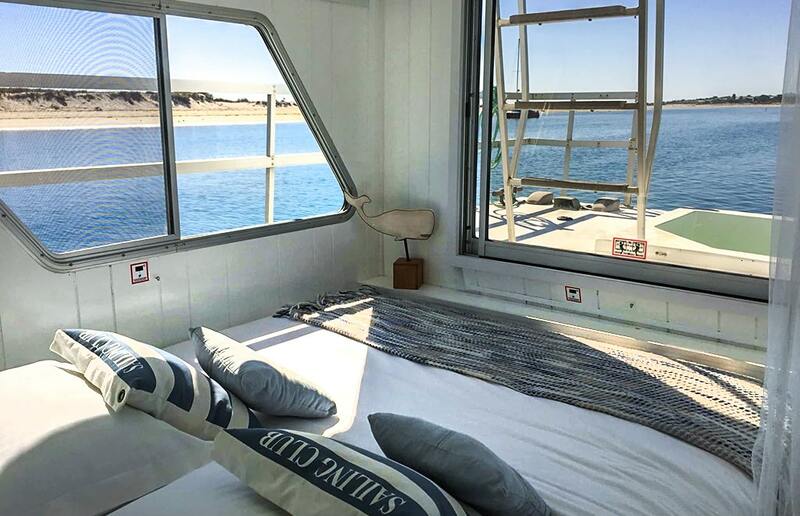 The additional small boats attached to the houseboat allow for closer encounters with wildlife by day, or for you to bob around gazing at the stars under the night sky canopy, free from the street lights of our regions capital Faro. While most visitors to the south of Portugal have beaches on their mind, we also have a beautiful interior of old castles, wine estates and farming land and here, just outside Olhão and not far from the Ria Formosa, the old farmhouse of Vila Monte is another unique accommodation option in the Algarve. This beautifully restored accommodation is anything but a farm barn though, with bright, clean, white interiors and luxury details the sleeping options range from suites to standard rooms. With an on-site restaurant serving fresh, seasonal produce and a secluded pool, it’s a fantastic option for those who may not want to be at a beach resort and enjoy the tranquil countryside of the Algarve while only being a short drive from the beach. The ‘Secret Suite’ is a perfect hideaway for couples, complete with private plunge pool, while my favourite, the ‘Lounge Terrace Suite’ offers impressive views from its terrace bar. For a while, this beautiful Pousada (which directly translates to hostel but is anything but) was left in disrepair, but a new lease of life transformed it into a luxury hotel. Not far from Faro, the 18th-century palace has been lovingly restored and still features many of the original elements while blending in new additions such as the modern, spacious pool. 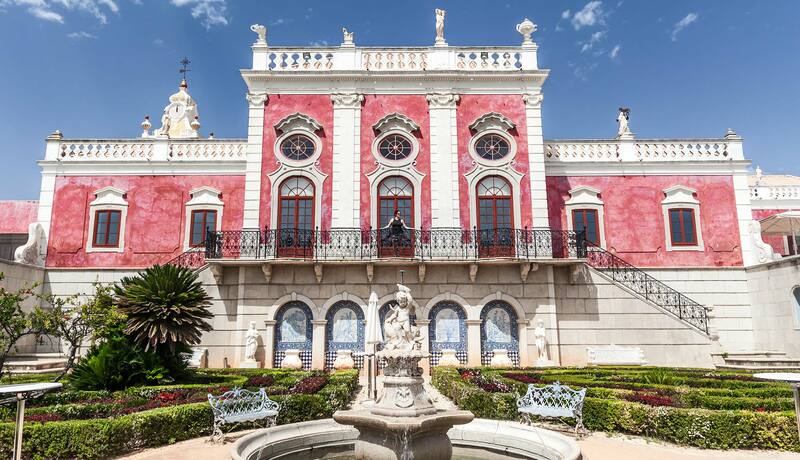 The facade of the palace is stunning, with the colourful tiles of Portugal making a striking first impression, while the gardens of the palace provide peaceful spots to read a book and wind down on your holiday. While I think this is one of the most unique accommodation options in the Algarve, all the facilities and attentiveness of a standard luxury hotel are on offer here. For those who might be staying elsewhere, it’s also worth a detour to/from the airport to come in for a visit or drink on the terrace. Not far from the colourful boats of Tavira, and a short journey to the ocean, you’ll find another unusual Algarve accommodation option in the form of a caravan and glamping experience. With no wifi intentionally and a prime spot for connecting with nature, be it bird-watching or chorus of frogs, this is a perfect example of going slightly off the grid for your Algarve vacation rental and if you opt to hire mountain bikes over a car, you can really have that get-away feeling. The caravans themselves are well set up for friends or families, and you’ll have the immediate vicinity to yourself to relax and enjoy the outside cooking area, comfortable beds and still a hot shower. With a real focus on the environment here, the solar lighting, organic farm products and eco-toilets all add to the credentials, and of course, the owners pet-dog nearby makes this a winner for me. While sun, sea and sand are all prominent on the Algarve menu, Golf is also a main dish here and, even for those who might not love the sport, some of the golfing accommodation provides unparalleled levels of quality. One of those, and a real unique Algarve accommodation option, is the Villa Penina Majestic. Spring Villas focuses on a collection of large, impressive and facility laden villas in prime locations and the family-run business has been going strong in the Algarve for many years. Now headed up by the two brothers, Miguel and João, they are always so passionate and proud of what they offer whenever I’ve grabbed coffee with them. Villa Penina Majestic is certainly not your average holiday let, and with a set-up for 20 guests the prices will only appeal if you are having an extended family get-together or a large friends vacation, but if you do fall into the category, this villa will amaze you. Alongside the eight bedrooms and bathrooms, a jacuzzi and a heated outdoor swimming pool are more unique facilities such as mini-gold, pool-bar, tennis court and even a private gym. Spanning 5000m2, the private outside area is a tranquil garden perfectly illuminated for evening parties. A word of warning though, you’ll be fighting over the bedrooms, especially seen as two of them are full suites with a living room! Port and the northern wine regions may be better known, but the south of Portugal produces plenty of grape goodness too and what could be a more unique Algarve accommodation option than staying on a vineyard. At Quinta dos Vales, you can do precisely that! Located near Estombar and Lagoa, and in turn the beautiful beach village of Carvoeiro, you’re centrally located to explore by the day and unwind with wine by night. There are less than a handful of cottages and villas on offer on the estate, in varying sizes and most with private pools. The wine experiences compliment all on offer. You can turn your hand to wine-making your own here, explore the land (I was very excited to meet the goats!) or just relax amongst the vines or inside your charming cottage. 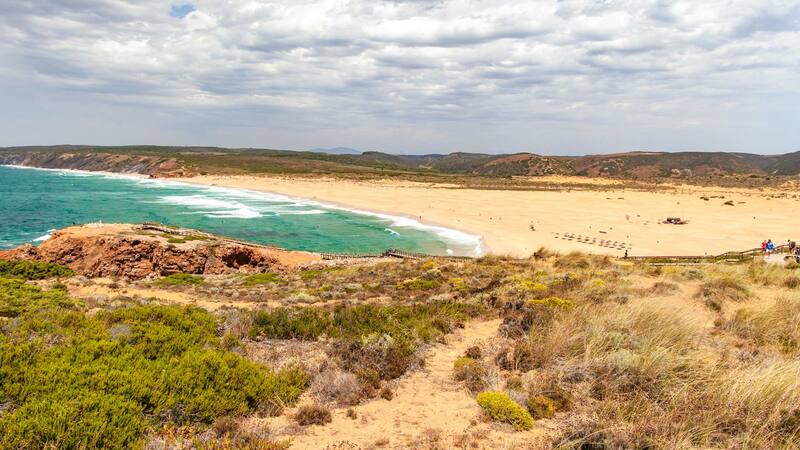 The Amado surf camp has a couple of locations along the rugged, wild west coast of the Algarve, and if you are looking to get out on the water and learn to surf while staying in the Algarve, this is a great bet. From camping packages to near the beach bungalows, the choices range in cost and these basic lodgings, while by no means fancy, provide the ideal crash pad and community after a day on the waves. 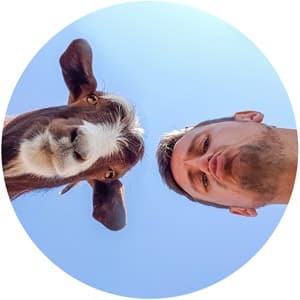 While it has become all the fashion for foriegners to head to the Algarve and run their own surf camps or yoga treats, this local business has been going for over a decade. I think it’s nicer to support those local businesses than the touring camps who aren’t reliant on surviving the winter here when wages do drop considerably for the locals as the season winds up. This Tipi accommodation was a recommendation of a friend here, and I haven’t personally visited it, but if you want to head towards the mountains of the Algarve for your unique accommodation and glamping experience, here is your chance. Known as the Algarve Safari Lodge, the glorious setting in the Serra Do Caderão park is packed with olive and orange trees alongside vineyards. The tents come with private pools, al fresco kitchens and boast privacy from your neighbours. A larger accommodation option alongside the river is also an excellent choice for extended families. If you want an eco-conscious escape the Algarve, and to discover the charm of inland Algarve while still being a relatively short drive from the beach, this could be just the ticket. Villa Carlota is another gem from the Spring Villas collection and offers some excellent views over a real favourite of mine, Silves, especially while enjoying a leisurely breakfast on the terrace. This five-bedroom villa boasts indoor and outdoor pools, a gym, games room, and beautifully landscaped grounds complete with lakes and cascading water. I also really love the location as you can hop on the closeby motorway and being relatively central, explore anywhere within the Algarve in around an hour. The views over the city, river, castle and mountains also heighten the locations credentials. With a kids playground and plenty of grounds to enjoy, it’s another fantastic option for extended families who have a more generous budget. The games room is packed with not just staples like a pool table, but even a piano! My last pick is more of a romantic getaway for couples than family or friends, and this gorgeous country house near Tavira offers luxury hotel quality in a more bespoke and unique Algarve accommodation option. Fazenda Nova has been completely renovated to a high standard while keeping plenty of the traditional features that Portuguese country houses were famed for and, thanks to its old use as a farm, the gardens are planted with fruits, herbs while now brimming with new wildflowers during the season. The tranquillity of Fazenda is what really amazed me, with plenty of secluded and shaded corners in the gardens it had a real romantic vibe and wasn’t somewhere I would want to be on my own. There is a choice of different rooms and suites, with standard facilities such as a pool complimented by unique picks such as a Vinyl library and small, still working farm. The restaurant serves up super fresh home-cooked food, and the 200-year-old bread oven adds a nice touch to breakfast dining on the terrace.